(English) Are you thinking about visiting the beautiful Sintra? Read and know which monuments you cannot miss on your trip! See prices & times and plan ahead! The beautiful Sintra is home to several beautiful monuments, romantic and exotic architecture and medieval streets that have stopped in time. Just 28 km from Lisbon, Sintra is known for its millennial monuments and a variety of architectural styles, which together create a magical atmosphere. The town of Sintra itself and its surrounding mountains (Serra de Sintra) are classified as a UNESCO World Heritage Site. It is a popular destination for hikers, and can be easily explored while staying in Lisbon. For many years Sintra has been recognized for its beauty, but has recently received more and more visitors. But since there are so many monuments to see and not always much time in the trip, it is complicated to organize the planning and to fulfill it entirely. It was in thinking that we decided to join the highlights of Sintra in this list. 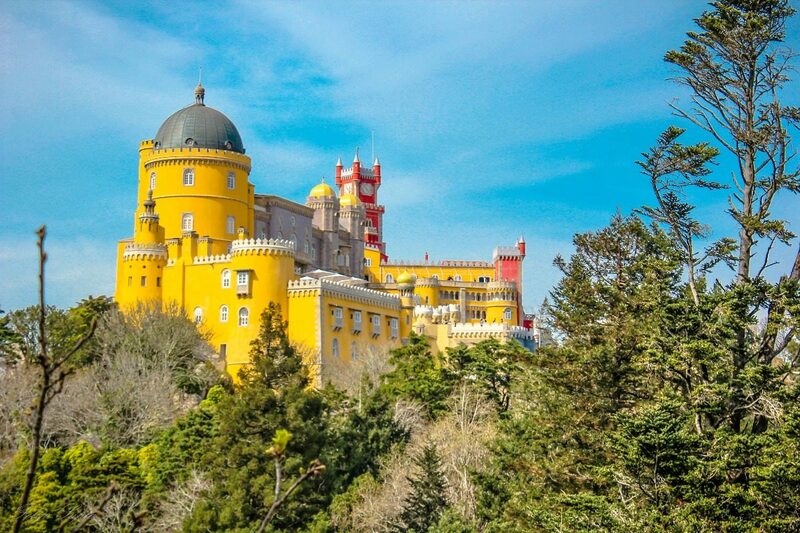 These are the monuments that you can not miss while traveling to Sintra! Palace of Pena, mixes styles because the romantic mentality of the nineteenth century dedicated a fascination to exoticism. Built in the 19th century and thought by the creative D. Fernando II, Palácio da Pena is the most famous monument of Sintra. The palace presents architectural references of Manueline, Moorish influence, and some believe, even Indian. The construction of the Pena Palace, as well as the large park where it is located, are the maximum exponent of Romanticism of the time. 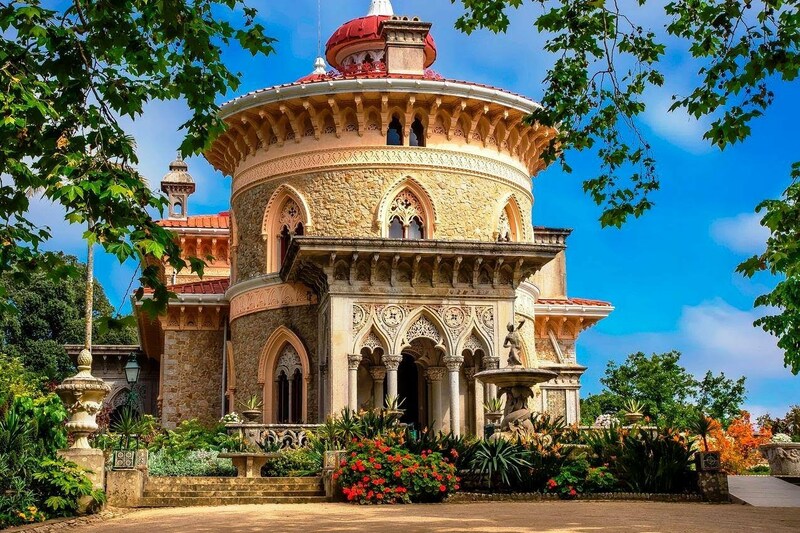 It is possible to observe the palace of the whole Park of the Pena, as well as the forest of the mountain range of Sintra and the lush gardens with more than 500 tree species originating from the whole world. 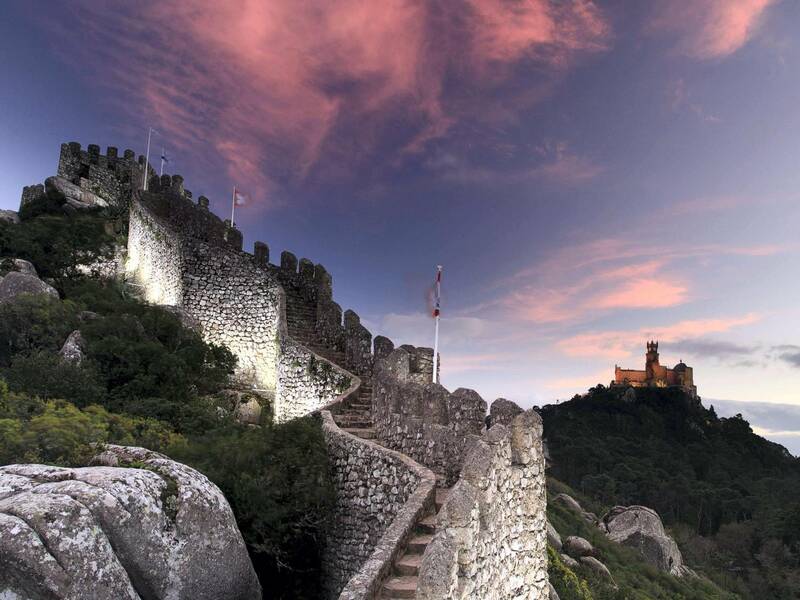 The Moorish Castle was classified as a National Monument in 1910 and is part of the Sintra Cultural Landscape, classified by UNESCO as a World Heritage Site since 1995. Above the Sintra Mountains, with irregular configuration, it consists of a fortification built around the century X after the Muslim conquest of the Iberian Peninsula, being enlarged after the Christian reconquest. It is a must visit in Sintra. Part of the route of the castle is open to the public, and walking the walls is a fantastic experience. 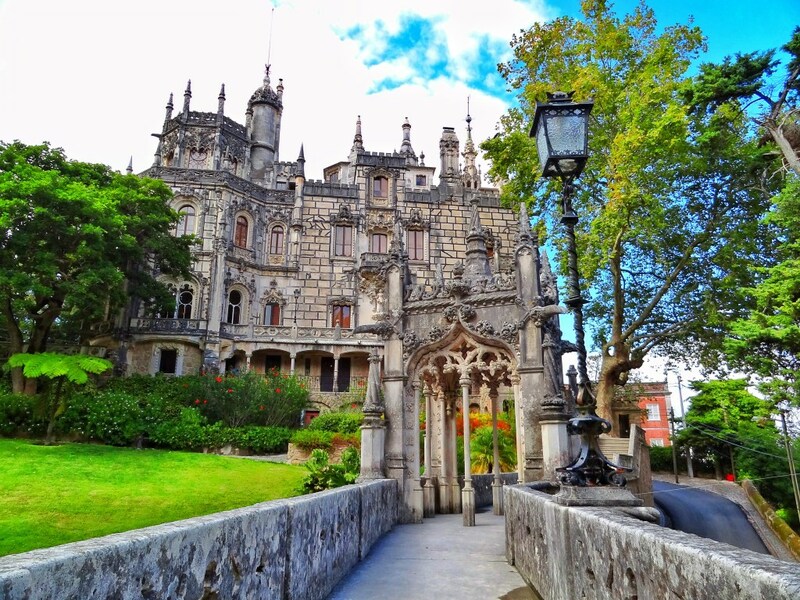 Quinta da Regaleira is one of the most surprising monuments of the Sintra Mountains. Located at the end of the historic center of the village, it was built between 1904 and 1910. 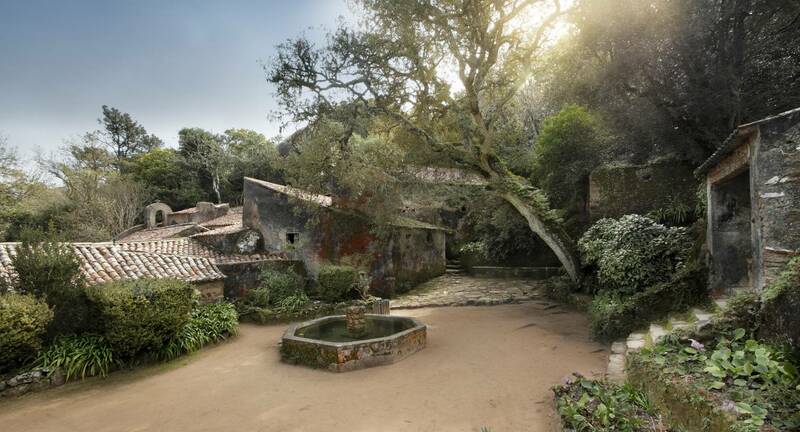 The romantic domains once belonging to the Viscondessa da Regaleira were acquired and enlarged by other owners over the years, each adding artistic elements. The architecture and art of the palace, chapel and other buildings were conceived in the context of an edenic garden representing the microcosm, revealed by the succession of places imbued with magic and mystery. National Palace of Sintra, located in the center of the village. 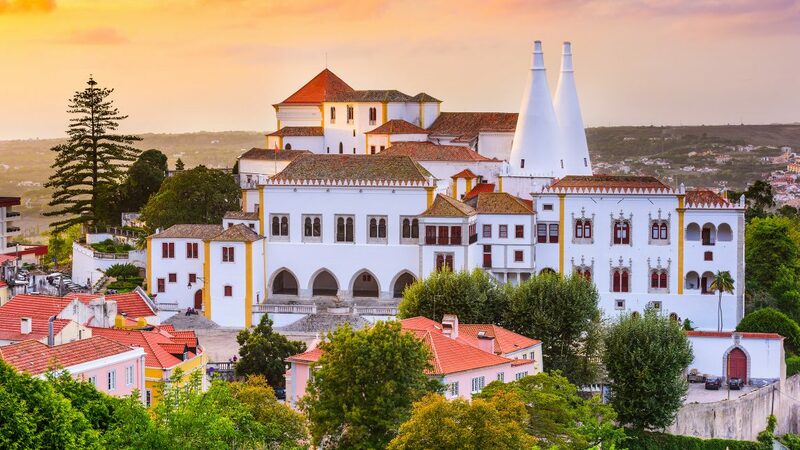 The ancient history of the Town Hall of Sintra begins during the Muslim dominion in the Iberian Peninsula. In the 11th century, the original Moorish palace – owned by the Portuguese Crown from the conquest of Lisbon – was first used in 1281. New constructive bodies have been added over time, maintaining their silhouette since the mid-16th century. The layout of the spaces in height, adapting to the terrain; the intimate organization of the inner courtyards in the open sky, evidence the Moorish connection of the craftsmen who built and embellished the Palace. Near the historical center of Sintra, one of the most beautiful architectural and landscape creations of Romanticism in Portugal: the Park and Palace of Monserrate, unique witnesses of the ecclesiastics of the 19th century. The Palace combines Gothic, Indian and Moorish influences, as well as exotic and vegetable motifs that extend harmoniously abroad. The gardens received species from around the world and were organized by geographical areas. 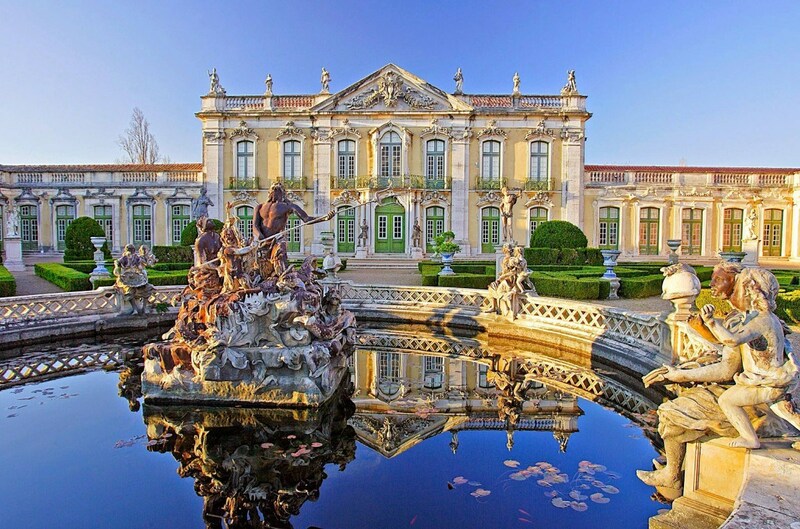 Called by many Versailles of Portugal, the charming Queluz Palace is further away from the center of Sintra. Built in 1747 by the royal family, the Palace was originally conceived as a summer residence, and was a privileged space for leisure and entertainment of royalty. From 1794 to 1807 the palace was the official residence of the Portuguese royal family, until the flight to Brazil, following the French invasions. The National Palace of Queluz and its historic gardens are one of the most extraordinary examples of the harmonious connection between landscape and palatial architecture in Portugal. They illustrate the evolution of the Court’s taste in the eighteenth and nineteenth centuries, a period marked by Baroque, Rococo and Neoclassicism. Palace of Queluz and the Gardens: 09h00 – 19h00, last ticket sold and last entrance at 18h00. Terreiro da Fonte, a reception area for pilgrims, thus designated by the existence of a source of fresh water. The Santa Cruz Convent of the Serra de Sintra, also known as the “Convent of the Capuchos” or “Convent of the Cork”, was built in 1560. It is notable for the extreme poverty of its construction, which materializes the ideal of universal brotherhood of the Franciscan friars. inhabited until 1834. The Franciscan convent was built in direct contact with nature and according to a philosophy of extreme architectural and decorative despoiling. The bakery that would later become known by Piriquita was founded in 1862, about 160 years ago. 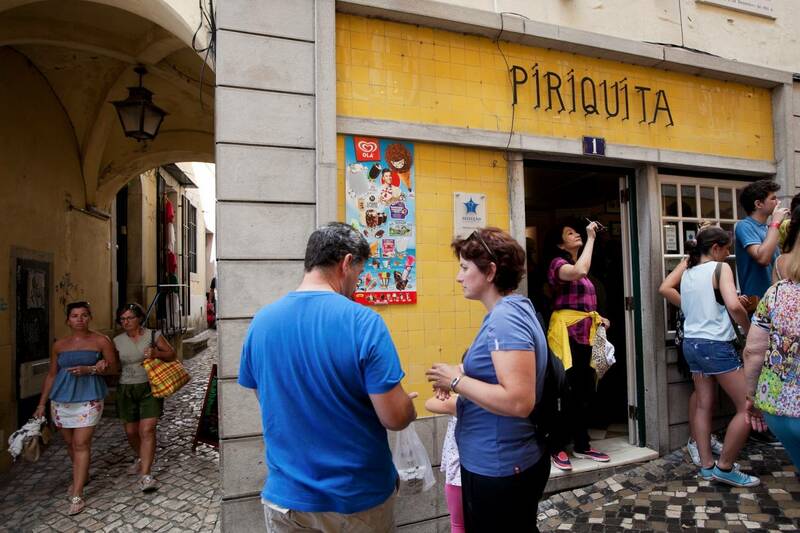 The traditional Sintra bakery, which serves the famous travesseiro (Portuguese word for pillow), local sweet with a secret recipe. If you go to Sintra and do not eat a travesseiro, you did it wrong. Come back and eat a pillow, I mean, travesseiro! You will not regret! castlelisbonpalacequintasintra Post written by Letícia Melo. (English) Benagil Cave & Algarve’s Coastline Boat Tour: What A Day!